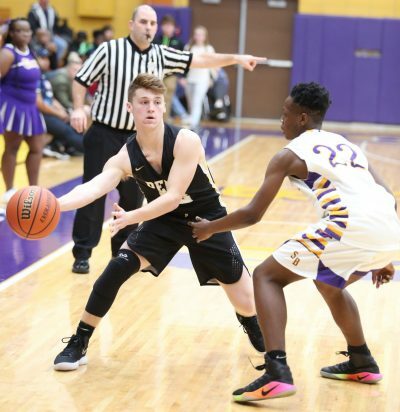 All-State candidate Noah Applegate, a 6-foot-6 Junior, scored 20 points, include two breath-taking breakaway jams, to lead the Penn Kingsmen to a 66-37 victory against Concord in high school boys basketball action on Friday night. Penn’s defense ignited a torrid transition game, as the Kingsmen outscored Concord 28-3 in points off of turnovers. Penn forced 22 turnovers and only gave up the ball 11 times. Drew Lutz, Noah Krathwohl and Kegan Hoskins scored eight points each for Penn. Penn improved to 2-0 with the victory.